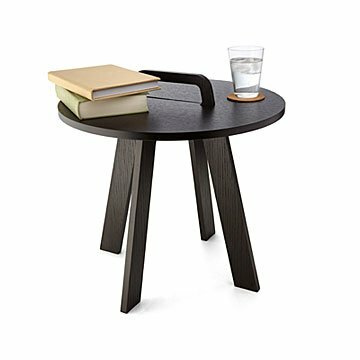 This clever minimalist design lets you take your table wherever the action is. Tea for two over here, a cocktail on the couch over there. This clever minimalist design lets you take your table wherever the action is. The built-in handle and removable top make moving it easy as pie, and with just three interlocking pieces, putting it together and taking it apart is a cinch (look ma, no tools!). Great for small spaces and entertaining, it's ready to make a move. Designed by Simo Lahtinen and made in Finland. Form and function get an equal share of Simo Lahtinen’s attention, whether he’s working on an architectural project or a set of wine glasses—his broad work history ranges from product to urban design. Based in Helsinki, Simo stays true to the minimalist Scandinavian aesthetic while still keeping things uber user-friendly.